7 Reasons Why Red Dead Redemption 2 Is Hot! 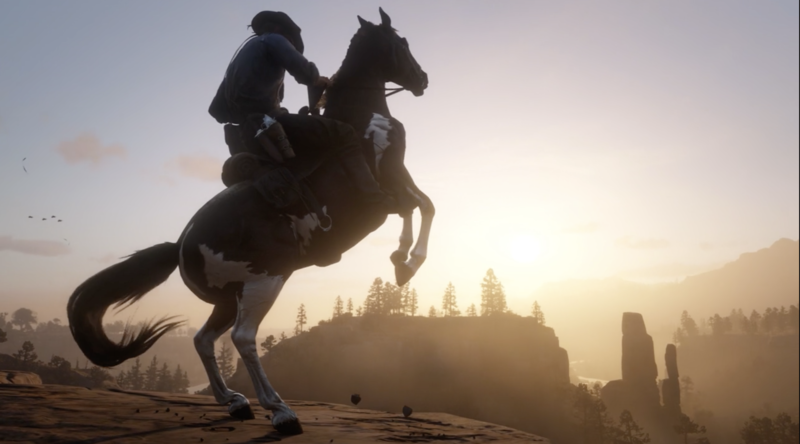 The Red Dead Redemption 2 is finally out — the game’s fans have been waiting for this release for years. Those not into gaming would wonder: why is there so much fuss and hype around a simple computer game? Let me tell you why! Trust me, even if console games are not your thing, this one still deserves your attention (maybe even worth it buying that gaming console after all). I’m not going to mention all those reviews penned by savvy critics and gaming journalists, peppered with obscure terms, explaining why this game deserves 10 points out of 10. I’ll just tell you what I noticed while playing it myself. 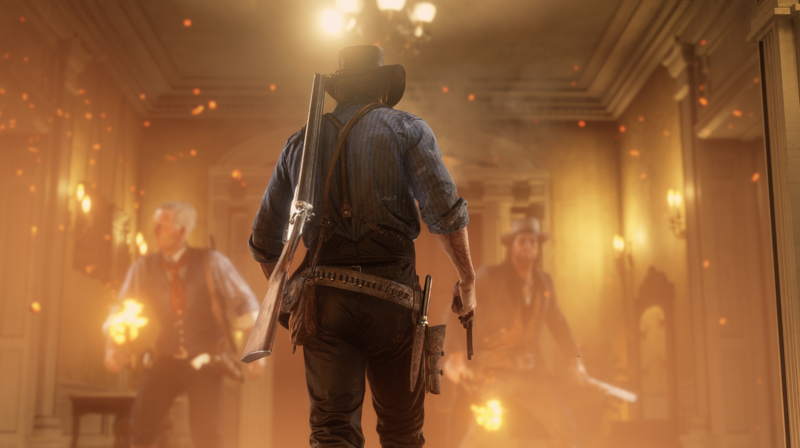 It only seems that this game is a western full of chases and shooters. Frankly speaking, most of the time nothing happens. You walk. Or ride a horse. Make a fire by the river. Brew some coffee on it. Look at the starry sky. You can even chop wood. Unlike the previous game by Rockstar Games, the cult GTA series, which awakened the thirst for destroying, breaking, beating, blowing up, and killing even in the nicest of humans, this game naturally and gently opens up new personality traits in your character. It’s not just that the police here works better. And not even the fact that there is a certain ‘moral code’ in the game's universe that makes it all about the way characters present themselves (helping a woman pinned by a horse is a plus to your karma, robbing her is a minus). The most important thing is no one forces you to do anything. Hyper-realistic is the right word. Even those who have never played, know it. Everything they say about this game is true: beard grows and it needs to be shaved. If you forget to wash your hair, it becomes greasy and you will not be allowed into a decent place. If you ride into the mud your horse needs to be cleaned after. If the horse gets scared, you need to take time and help it calm down. If you eat too little, you lose weight, if you eat too much, you get fat. Just like in real life. At the same time, unlike the ‘reality’, some things are smoothed out. For example, a long and boring journey will be shown as a screensaver. Also, not all physiological processes are displayed — thank goodness. 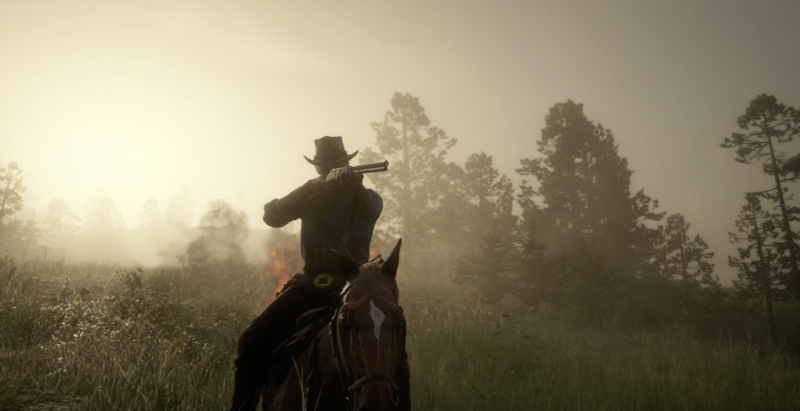 In short, Red Dead Redemption 2 is not just similar to reality, it’s better. This is a very important thing, which not only makes the game more realistic but also helps you keep notions of good, bad, and honor in your head. All other characters are not a random simulation that came around the corner because they wound up here and would quickly disappear again. It is clear that in the GTA those were ‘dummies’ to kill off. Here, other characters live their lives (!) regardless of where and what you are doing. A farmer is going to the town. Travelers are riding the train. The Chinese are building a railway. You can talk to them, you can ignore them. You can do something good for them, or you can scare them. The most important thing is that you’ll have to face the consequences. You may accidentally scare the traveler with a gun at the beginning of the game, and then meet him in a big city and he will report you to the police. Or, on the contrary, he will remember the good you did. Perhaps it's this and not the fact that your horse’s testicles shrink in the cold, that makes Red Dead Redemption 2 a truly trailblazing game. Imagine a very good, even excellent HBO show about Wild West. So what you get here is much better than that. It's not just about well-written dialogues and mind-blowing plot twists. In fact, the creators of the game went very deep into psychology — it’s almost Dostoevsky level of complexity, not just a cowboy shooter. Throughout the story, Arthur Morgan (your hero) is pondering his life: why this all happens? Why kill people? Why kill animals? What for? This gives the game extra nerve. Well, literally anything. Want to make a photo? Want a bathtub filled with champagne? Want to buy canned peaches in the store? Or play dominoes? Or buy a train ticket? Or collect cards? — The list can just go on and on. I was playing poker the other day for two hours straight, won seven dollars and was happy as a kid. These dollars were not even real. You know, in the era of cryptocurrency, it is difficult to say whether there is any ‘real’ money at all. Sometimes you simply have no idea what to do. No clear instructions. That’s when you can just ride wherever the road takes you — through vast fields, through red rocks and deserts. You may meet a stranger at a campfire who’ll sing you the saddest song, share his whiskey with you and tell you about his life. I do not know why, but this seems very important and special.